When a person is depressed, it may make him feel helpless as well. Depression is not the end but people don’t realize this. It is the strong will power only that could help a person to come out from the unwanted mental stress. People do go with therapy and sometimes medications as well, when they are suffering from depression. But, until and unless they make themselves more strong to resist the things and to come out of it, they cannot make. Coming out of depression depends much on the person himself. 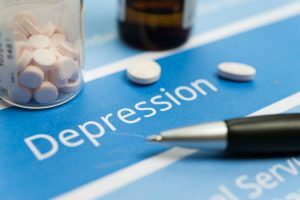 For those who are undergoing the unwanted stress of depression; we are here telling the three best and of course the natural ways that they should follow in order to come out from the unwanted stress of life. Get in Routine: When people are depressed, it shows from their activity of withdrawal. If you don’t want to be in the cuff of depression any more, then try to get back into your routine as early as possible. This is the best way for you to fight with the unwanted stress. Set Goals: Set goals for life because nothing better than this can help you get away from the stress that is surrounding you unwanted. You should set up your goals and routine for the day. The more focussed you would be, the more your thoughts would be free and you can get out from the depression for sure. Exercise and Eat Healthy: Doing exercise on regular basis is necessary because this is something that keeps the brain in working mode. People do skip their meals when they are depressed and the best way to come out from this is to eat and drink healthy. Though there is no magic diet to treat depression but it is a good idea to watch what you eat. So for the better convenience of everything keep a watch on your routine and also on the things that you are eating. Though the advice of psychiatrist is always required and it is only the timely consultation of a doctor that could give the best results. But, along with everything else one could have a strong will power because it is only with the self-esteem that one could win the world and depression is only a small thing. Mental illness in adults could be spotted easily but in case of children, it really becomes one amongst the toughest tasks to understand and to figure out as well. It is really one of the toughest tasks to know about the mental condition of children because in most of the cases they are not much mature to express the feelings of their heart. Parents or guardians are required to understand their mental health condition and need to figure out if everything is right or not. For the concerned parents who really wish to know if everything which is happening their with their child is right or not, we are here providing with few very important signs and symptoms that would clearly define the mental health condition of a child. Anxiety Disorder: This is one amongst the most significant thing that could help a parent to understand that everything which is happening is not good. Children who have anxiety disorders — such as obsessive compulsive disorder, post-traumatic stress disorder, social phobia and generalized anxiety disorder — experience anxiety as a persistent problem that interferes with their daily activities. Eating Disorder: Have you always been noticing changes in the eating habit of your child or you have noticed it just recently. Eating disorder is a clear sign for the parents to know that everything which is happening with their child is not going right at all. This definitely needs a timely treatment or else one has to regret for the same in the future. Attention-Deficit/Hyperactivity Disorder (ADHD). This condition typically includes symptoms in three categories: difficulty paying attention, hyperactivity and impulsive behaviour. Some children with ADHD have symptoms in all of these categories, while others may have symptoms in only one. Mood Disorder: A fluctuation in the mood of the child is also a sign to know that everything which is happening with him is not right. If your child tends to change his mood much frequently then definitely there is something which is not right. In case you notice any of these things, signs and symptoms with your child then you should consult a child psychiatrist immediately. It is required that one should take timely action so that things may be resolved properly. There are many things that comes in a man’s mind when he is getting married. Everyone has so many expectations from the same, but not every time the things happen the way we want it to happen. There are so many people round there who are not satisfied with their life after marriage and desperately want to fix the problems. Understanding and living with a stranger definitely creates problems in life but the best way to come out from this is to discuss. The more you will discuss things the easier it would become for you to handle everything. Of course, complications arise when you get married to a stranger but fighting with the same in the positive manner is the solution ,and not running with the problem. If you or someone who is close to your heart is facing any sort of problems in married life then here are few of the better ideas from our side that would help you in making marriage life better. Discuss Problems: Only both of you can reach to a positive conclusion of the things that are happening by. It would be better that if you share the issues with one another and discuss the things so that, you may reach to a positive conclusion of everything. If you really want a solution of the problem then it will come only with discussion. Keep Things Personal: It is always a better idea not to discuss your personal problem with everyone. Only both of you can understand the things happening in your relation because you are facing it ever day. Expecting everyone to think in the way, like you think is not a great idea and by the end it would bring only confusions and would bring more problems as well. Consult Psychiatrist or Marriage Counselor: If, in case despite all your efforts nothing good is coming out from your discussion and efforts and go to the experts and take their suggestions. There are marriage counselor and psychiatrist who can give you better suggestions to fight with the issues. Problems in marriage are not mental problems but they all are part and parcel of it. If it is normal then things are okay but in case things are getting out of control then in the situations like that, you always need the experts by your side. The suggestion and advice from professionals would always lead your way. Making marriage life better is dependent on the understanding and efforts of the two individuals. If things are not working properly then discuss, else you have to face the bad results of the same by the end.